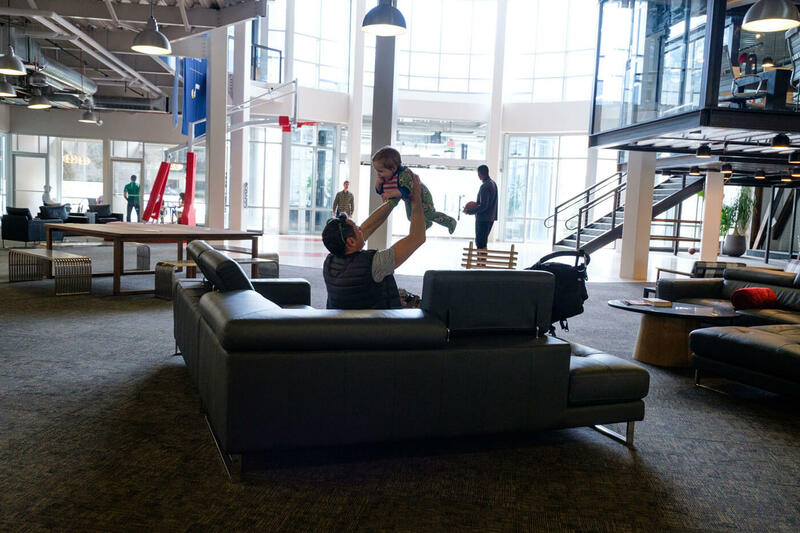 With automatic, merit-based promotions, a flexible platform for every business, and dozens of new team members each quarter — there’s plenty of room to grow in Sales at Qualtrics. We talked with JJ Trahan, Head of Sales — Account Executives, Americas, about how new employees learn the ropes, how AEs spend their days, and how his team measures success. Interested in learning more? Check out open roles to learn more. 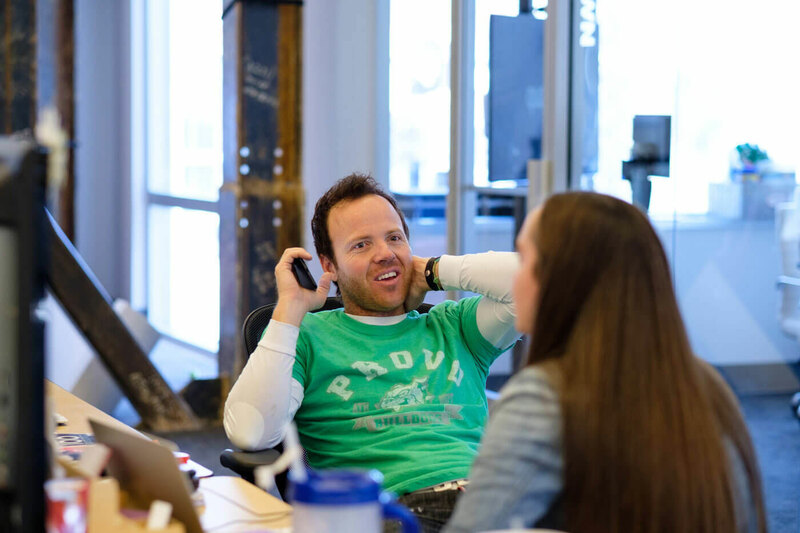 How does the Sales Development team help Qualtrics succeed? Benji: Our department has two development roles within the company. The first is obvious: we’re developing sales opportunities for the Qualtrics Experience Management platform, which helps clients collect and analyze data about their customers, products, brands, and employees. The second role, which is integral to our overall philosophy, is developing sales reps into account executives. All of our day-to-day responsibilities connect to those two goals. Let’s start with some basics. 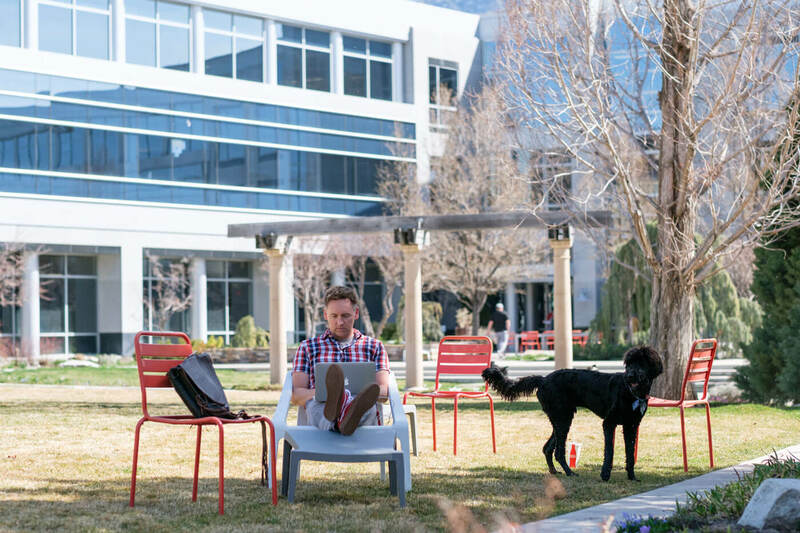 What does Qualtrics do? Companies use the Qualtrics platform to collect and analyze data, and then act on it. 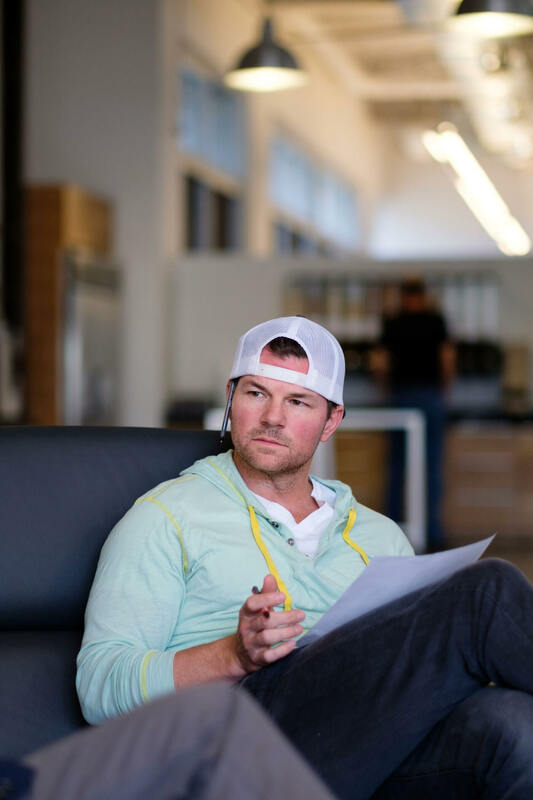 In Sales, we spend a lot of time on outcomes, looking for trends that can help our clients pinpoint what their customers like and don’t like, and then helping them come up with solutions. 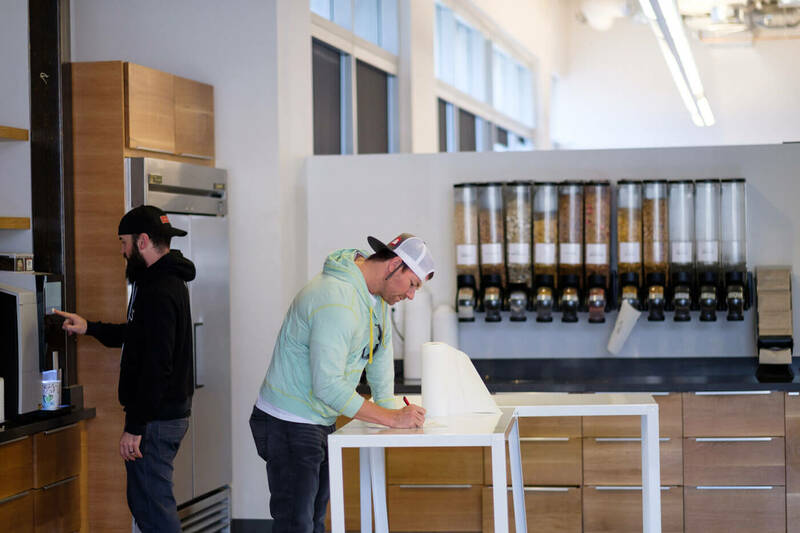 We’re growing quickly as a company, and the Sales team is being driven to develop business acumen at a staggering rate because our product is so versatile. We can sell to anyone from insurance companies to car washes. We work with mom-and-pop shops and world-class brands. 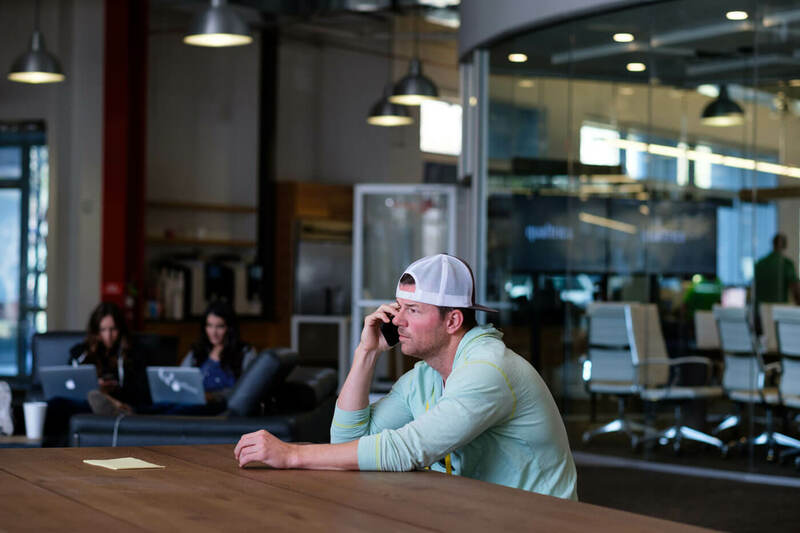 How is Sales at Qualtrics different from other organizations? We’re structured so that new recruits without any sales experience generally start as Sales Development Representatives (JJ-(Sales)) and go through rigorous training to help them understand the fundamentals of our sales process and our value proposition. We hire experienced sales professionals as Account Executives (AEs). Our JJ-(Sales) build expertise during their time by shadowing AEs during the entire sales process, from prospecting to agreement signature. We’re unique in that we develop our JJ-(Sales) rapidly (~6 months) and then promote them to become a quota-carrying AE far faster than most tech companies. For AEs, our approach to promotions is also very unusual. There are zero politics involved for promotion. In fact, it’s digital — you move up automatically when you meet well-defined goals and targets. Above: Walk/talk. Below left: Qualtrics’ CEO, Ryan Smith, has a background in Sales. Below right: JJ in deep-concentration mode. Above left: John D’Agostino, Global Head of Sales. 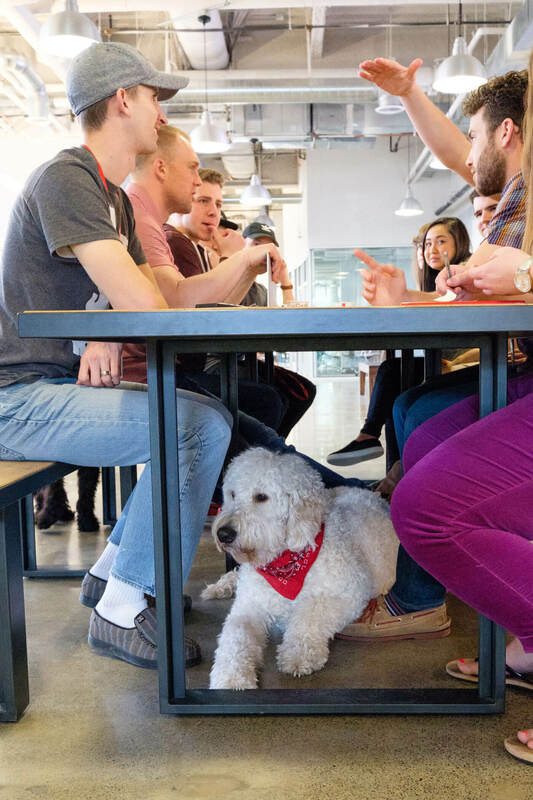 Above right and below: Team members work together to reach big, hairy, audacious goals (furry friends invited). Why did you want to join this team? It’s a contagious meritocracy — that’s what I’ve always loved about sales and what motivated me to move over from the buy-side in the first place. After graduation from the U.S. Air Force Academy, I served as an officer in the U.S. Air Force buying airplanes and satellites. While that work was extremely rewarding, I longed for a transition to the sell-side of business and the meritocracy it offered. 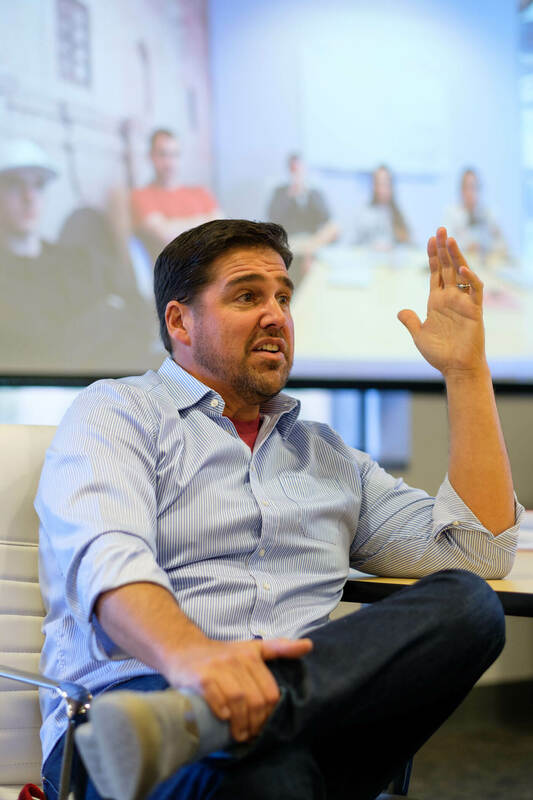 I started my sales career at PTC, a software and services company headquartered in the Boston area, where I spent thirteen years of my sales career. When a friend recommended I check out Qualtrics, I saw there was something different about it, something magical and unique. They were already in the process of building a best in class sales force in a great emerging market with thousands of delighted customers. The location is incredible, too. 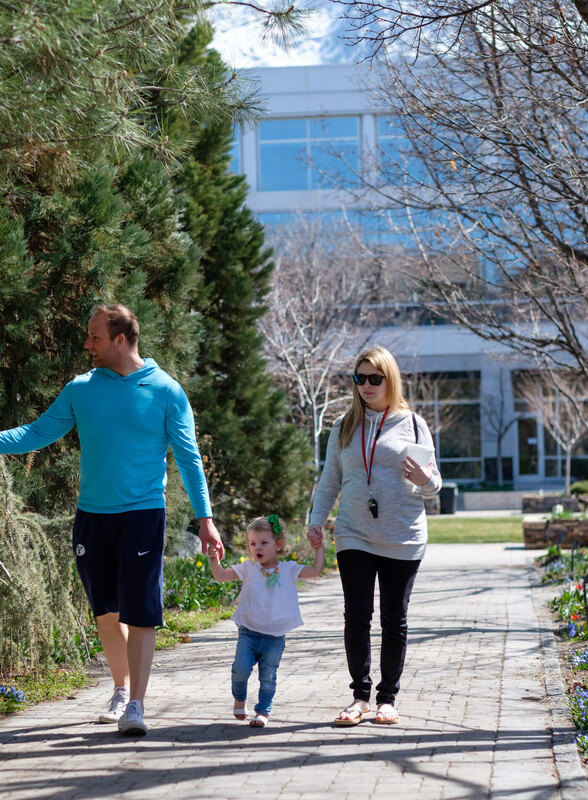 When I moved here to Provo, I immediately noticed I wasn’t watching as much TV, because I wanted to be outside constantly. People know about the winters, but the summers are fantastic too. The mountain biking, the lakes, the boating, the fly fishing. Every morning I drive to work and I feel like I’m in Switzerland. Originally from Louisiana, I’m still shocked by the mountains. It’s stunningly beautiful here. What’s the training process like for new salespeople? The training track starts with a two-week sales boot camp, then a capstone course so we can assess what our new hires have learned and find areas where we can help them develop. We do another capstone after about six months, where senior sales leaders check in to see how development is going. We train both face-to-face and through an online program called Qualtrics Academy, which is presented in digestible, bite-sized modules on specific topics — no eight-hour, non-stop trainings, we promise! Team members can go through the modules with coaching from a mentor or just work at their own pace. There’s a heavy emphasis on training and education here, because our goal is to build the best sales force on the planet. We start by recruiting the highest-caliber people we can find, then we put a lot of effort into developing and retaining those talented people. We’re trying to build a legacy. 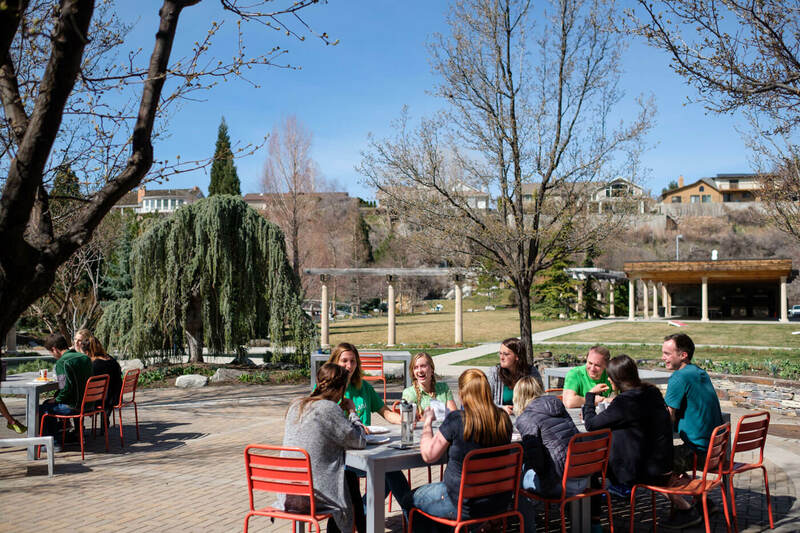 Above: Outdoor spaces serve as excellent lunch spots. Below: Dog-friendly, kid-approved. Above: Team members enjoy a fetch break as the mountains (a 10 minute drive) beckon. Below: Buzzer beater? Once a team member moves into the AE role, how do they spend their time? 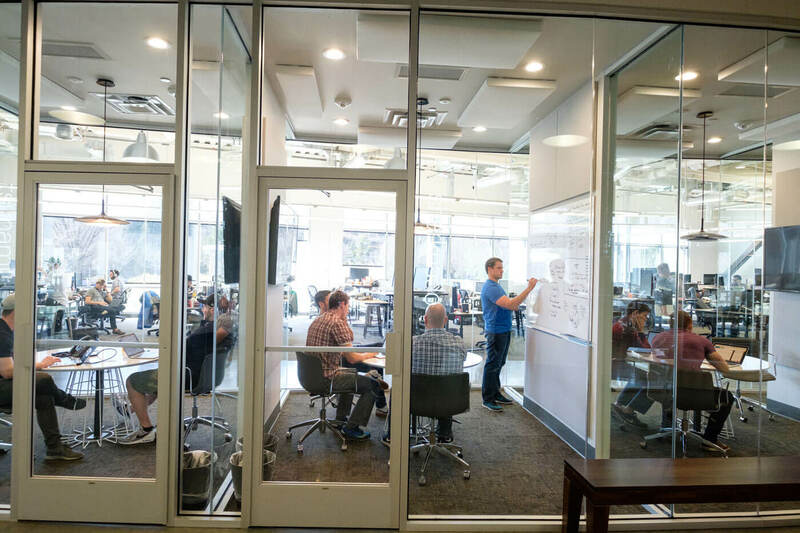 Sales at Qualtrics is a highly collaborative environment, so we spend a lot of time working together and strategizing the right solutions for our clients. We also expect our AEs to prospect; as salespeople, outbound efforts are our livelihood. We work every day on generating new business through phone, email, and social. We have several regional corporate teams that sell into corporate America. We also have vertical teams that work in K-12, Higher Education, and at the state and local government level, and some that specialize in selling to the human resources world. We follow a hybrid model for sales, and we’re highly efficient both when we’re in the office, and on the road. In the office, we’re prospecting and working towards agreements with clients. When our folks are traveling, they might have six meetings a day. Once the deal is closed, our AEs don’t have to say goodbye to their clients, either. They get to keep working with them and expand on the relationship as the client’s needs change. It’s a “land and expand” philosophy. Sales works closely with our Customer Success team on a daily basis, but continues to own the client relationship. Our Customer Success team does everything possible to keep our customer satisfaction levels high, and if they discover a new opportunity or pain point that we can assist with and/or help solve, they’ll bring the AE back into the conversation. What opportunities for growth can someone expect on the Sales team? Career paths are laid out very clearly here. We have defined several levels based on experience, and when you meet the requirements of the level above you for two quarters in a row, you’re automatically promoted. Again, it’s digital — completely apolitical. Our commissions are also like a double benefit, because you can earn a commission and a promotion at the same time. There’s also a lot of room for advancement on the leadership track, because we’re growing so quickly. 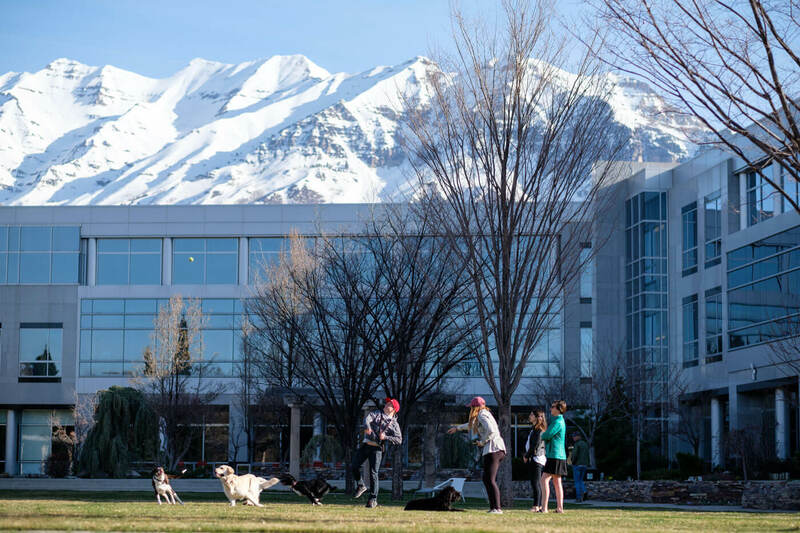 We bring on dozens of new AEs here at Provo every quarter, and one of my missions is to make sure we’re maintaining the right ratio of leaders to individual contributors; we want to have about seven AEs per team. So if an AE has the aptitude and desire to move into leadership, they definitely have that option. 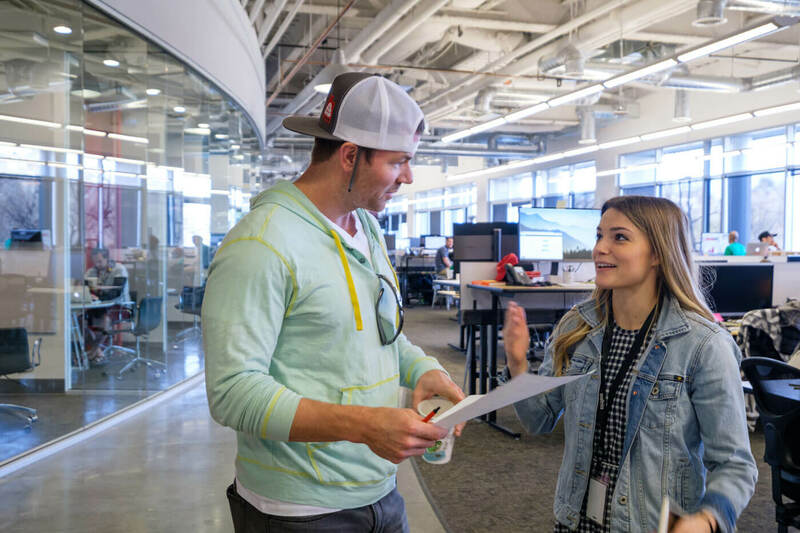 Above: JJ and Megan Tidwell (Sales Recruiting Team Lead) grab a quick conversation by JJ’s desk (background) in the heart of the Sales team’s work area. JJ and other members of the leadership team grab front row seats at a Thursday all-hands. The main entrance to the building serves triple duty as a basketball court and lounge area. Calls — not just for SDRs. How is success measured and celebrated? Our number one metric is making clients happy. 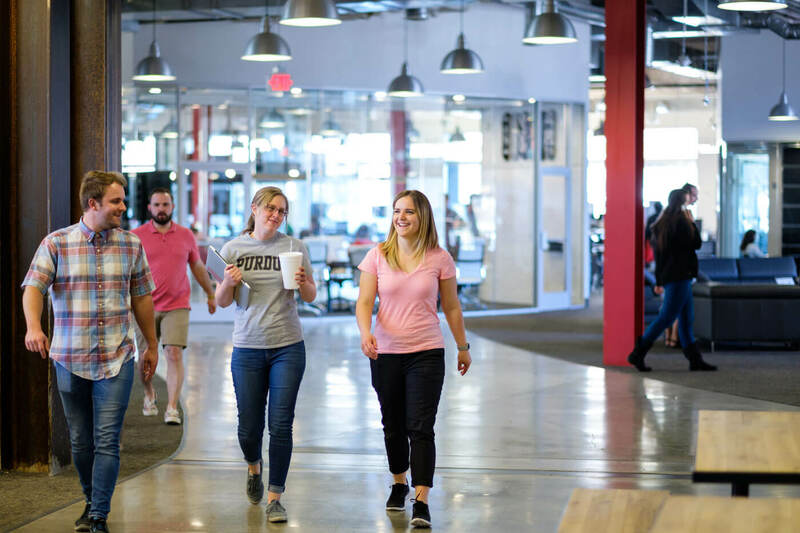 How we engage with them is a major differentiator for Qualtrics, and we track their satisfaction with our communication as well as with the product. We also have metrics around prospecting and moving sales forward. Metrics make some people nervous at first, but we really do use them as a tool to build people up and figure out how we can help them improve. Leaders have individual metrics to hit up to a point, then we move them to a team-based quota once they’re leading a larger number of people. Most of our metrics are based on fiscal quarters, which helps make our workload pretty predictable. We’re busiest at the end of March, June, September, and December. That’s helpful when you’re planning time off. 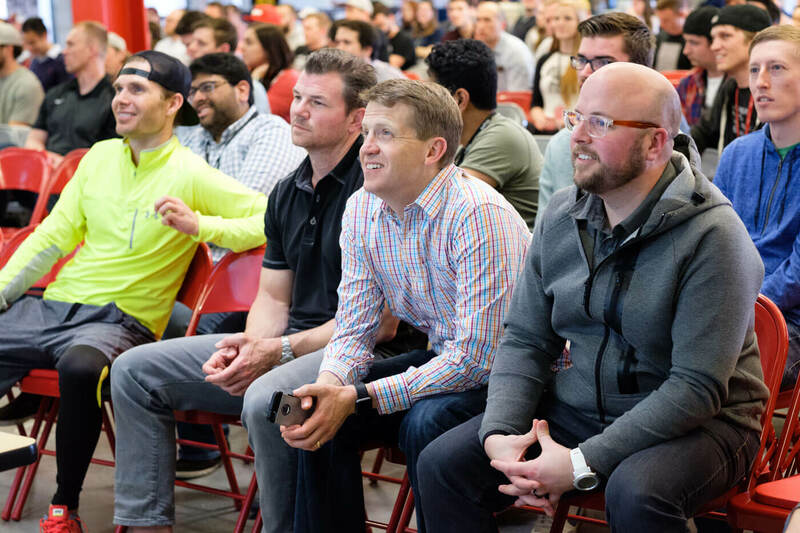 As far as celebrating, Qualtrics does an all-hands meetings every week on Thursday, and we take that opportunity to recognize success around the business. 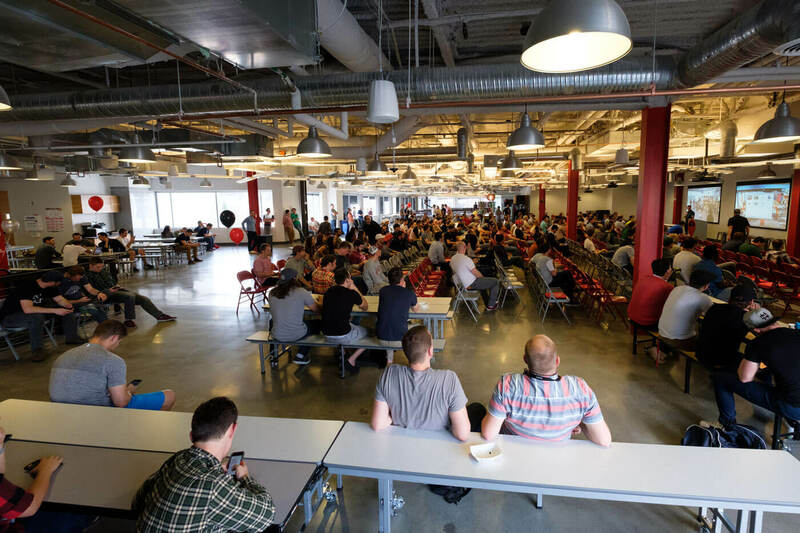 It’s unusual to meet with the entire company that frequently, but it’s part of the culture here. 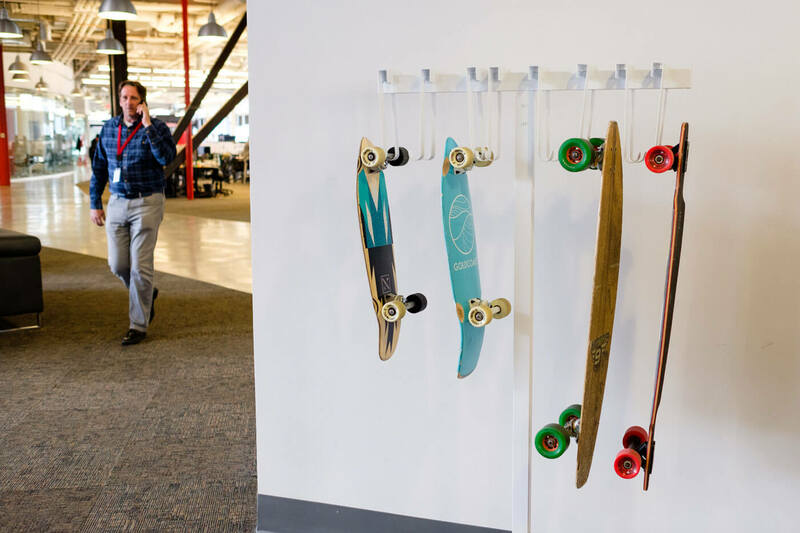 The company also serves lunch three or four days a week so teams can get to know each other better. What qualities are the “keys to success” for members of this team? We also look for intelligence, social awareness, and a positive attitude. Most of the time, positive attitudes get positive results. 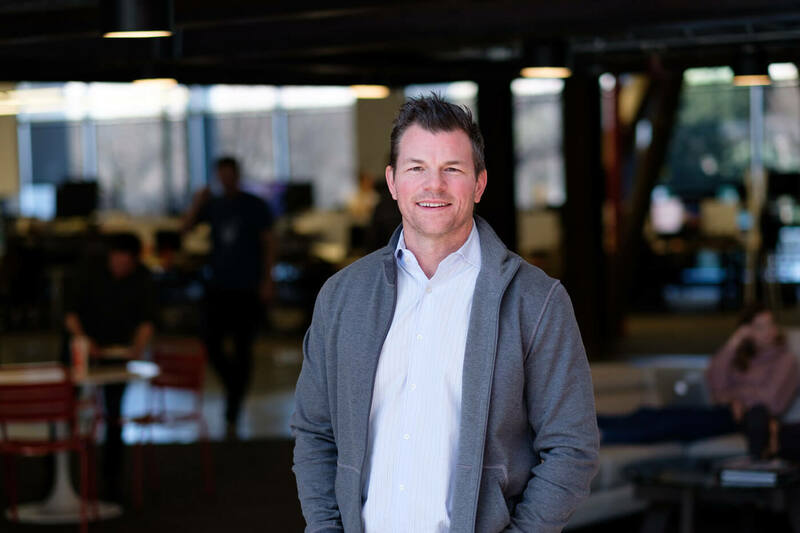 Salespeople at Qualtrics need to have and strive for increasing business acumen in a lot of different markets and speak each industry’s language. They also need to have a clear understanding of how our platform provides insights for each of four areas: product experience, brand experience, customer experience, and employee experience. Reading people well, listening, and preparing are all important. With each new industry our AEs pursue, they build experience, gaining more general business acumen that they’ll use in the next industry, with the next client. If you solve 7,000 puzzles, you get great at solving puzzles. That’s a good way to think about what we do. 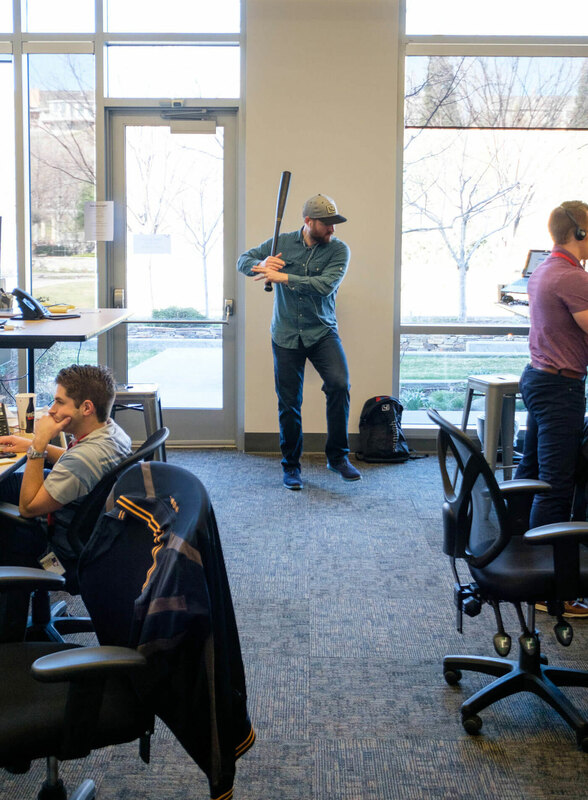 Above left: Sales pitch home run stance. 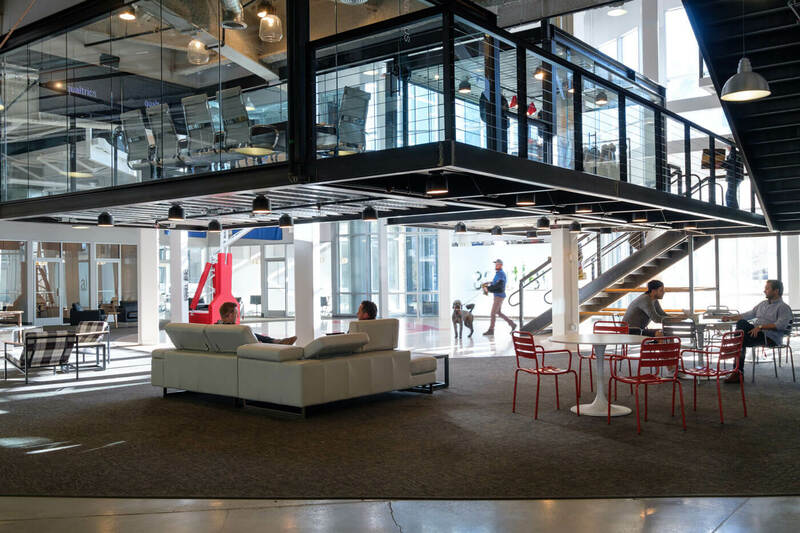 Above right: Team members take advantage of open work spaces to connect throughout the day. 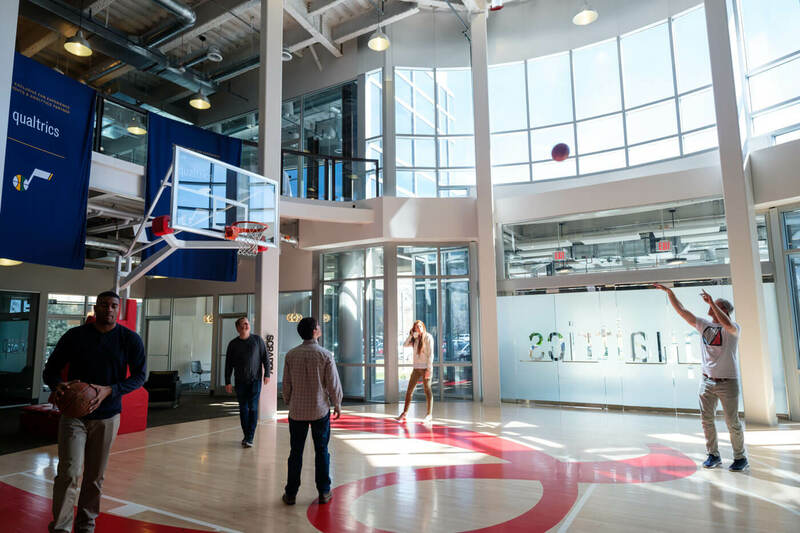 Qualtrics is growing rapidly. How does that affect members of the Sales team? We aim for balanced growth. 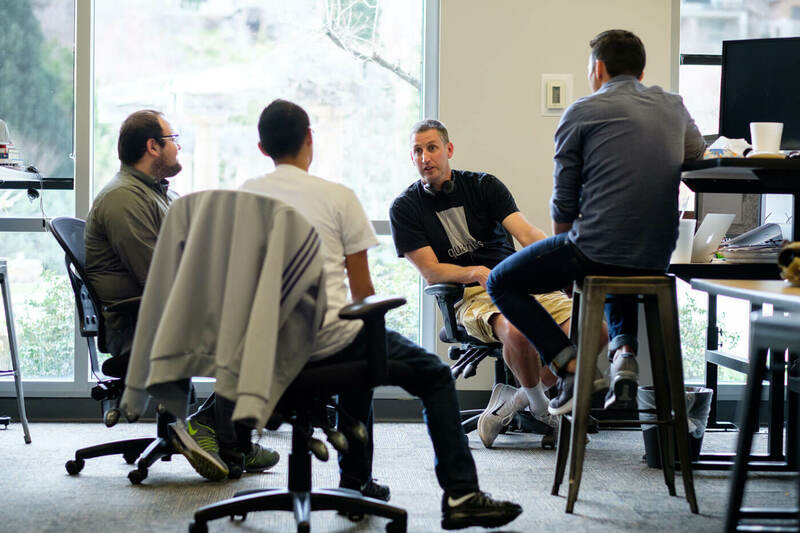 We want all teams — Sales, Engineering, Growth, Marketing, and Recruiting — expanding at a similar rate. It helps to think of Qualtrics as an ecosystem. We need the support of all teams to make sure that when we sell to clients, they’ll be successful. I know a lot of salespeople think of growth as potentially limiting their territories, but our market is so large we aren’t running into those restraints. We find new use cases every day, and we’ve just scratched the surface on a lot of our accounts. We want to stay conscious of territory equality as we grow, and make sure we give new salespeople the same opportunities to be successful. 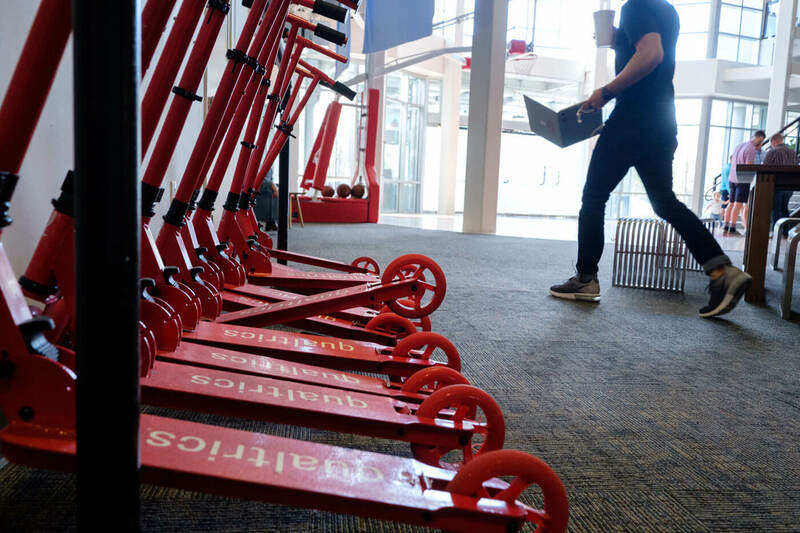 What moment is Qualtrics in right now? It’s “Go Time”! Sustaining and accelerating growth gets more challenging every year, especially at our scale. But we accept the challenge, and we’re prepared to meet it. Any fast-growing company needs to embrace change, and we have. We had more than 3,000 brands from around the world at our annual summit this year. We’re enhancing our engineering capacity at an astronomical rate. We have well-trained, scrappy sales professionals. Put that all together and you’ve got something special: great market, great products, great culture, great people. Your daily moment of Zen.